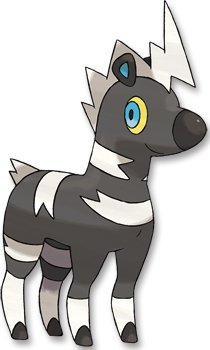 Lightningrod The Pok�mon draws in all Electric-type moves. This Pokemon takes damage from Electric moves aimed at its partner. Motor Drive Raises Speed if hit by an Electric-type move. This Pokemon's Speed rises one level when it is struck by an Electric move. White When thunderclouds cover the sky, it will appear. It can catch lightning with its mane and store the electricity.